The KUF Choir (AKA the “Vocal Volunteers,” or “V V’s: ) is a group of dedicated singers who provide music for some of the KUF Sunday services. New members are always warmly welcomed into this group, which is serious about its music, but open and sharing of the special and wonderful activity of making music together. If you enjoy singing, we’d be delighted to have you join us, no auditions required. Ability to read music is useful, but not a necessity, as parts can be learned via MIDI selections provided to you, and often times by checking recordings and/or various Youtube renditions. Rehearsals are held almost every Sunday morning before the service, with an additional Saturday afternoon practice scheduled about every six weeks. 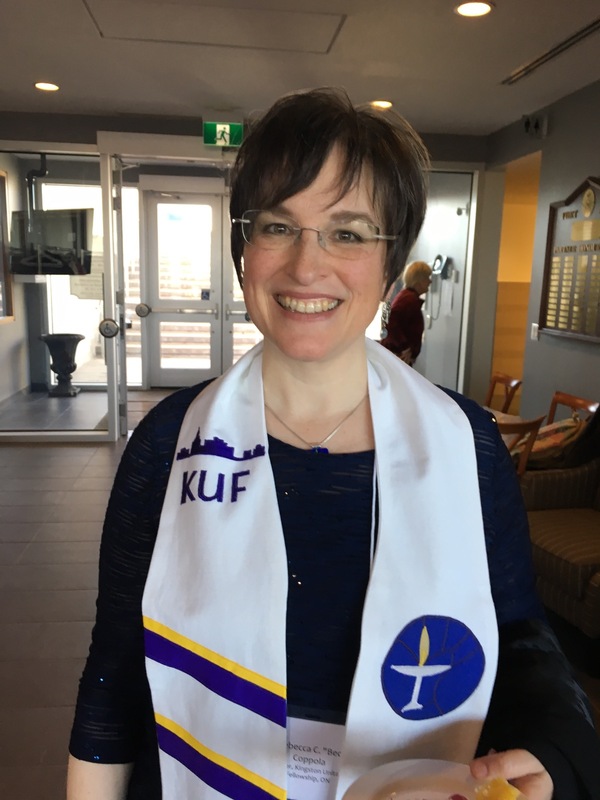 Should you have questions about singing in our choir, or would like to contribute some music-making to a Sunday Service, or other KUF event, please e-mail info@kuf.ca, attn. Phyllis Robbins, Music Director.